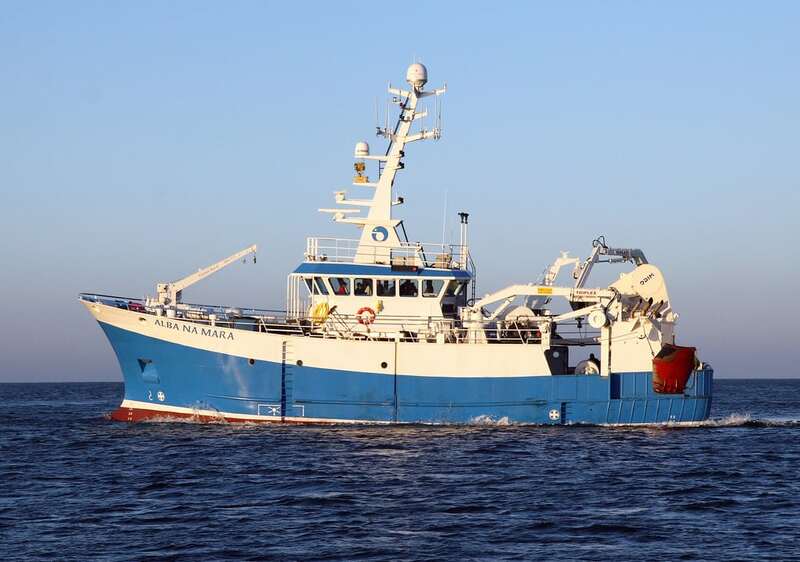 After a timely departure from Fraserburgh on Saturday the 5th of January, Alba na Mara sailed for the west coast to carry out underwater TV work on Nephrops grounds. The first task involved deploying a time lapse camera, attached to a large frame, in Upper Loch Torridon. This was followed by a short steam to the Sound of Raasay, where the vessel remained at anchor for a day waiting for a severe gale to pass. The following four days were spent working in the Sound at two sites which were each surveyed five times with the sledge to obtain a Nephrops burrow estimate. These two sites were then trawled over with the cod end left open; in an effort to return as many burrowing animals to the grounds as possible. Each sledge site was revisited over the following three days to see how the abundance compared prior to trawling, reassuringly seeing the sledge tracks from previous runs on most occasions. ition to this work, a high definition camera was fitted to the sledge in parallel to the standard analogue camera so that video quality and practical application could be assessed. Two lasers were also mounted to the frame, set 7cm apart, to provide a scale relative to the size of burrows that were being counted (an issue raised at a recent ICES meeting). 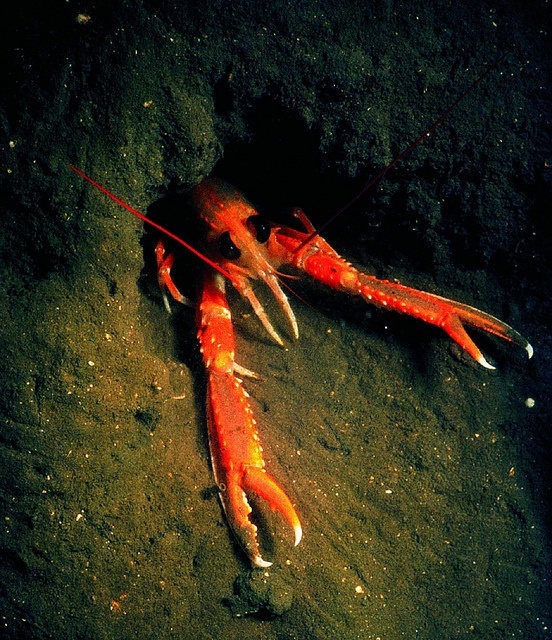 Before heading to Ullapool for a very wet and windy half landing on Sunday the 13th the time lapse camera was recovered and downloaded providing excellent images of the ever changing seabed, including a Nephrops in its burrow, and then redeployed in Loch Ewe. The second half of the survey will focus on continuing work from earlier surveys: comparing the abundance values over the same ground using the sledge and the drop frame, deploying a mooring in the Moray Firth and recovering the time lapse camera.